Last week I received this beautiful card from Marion. I usually don't really like cards, I like letters/packages wich take a little more effort. 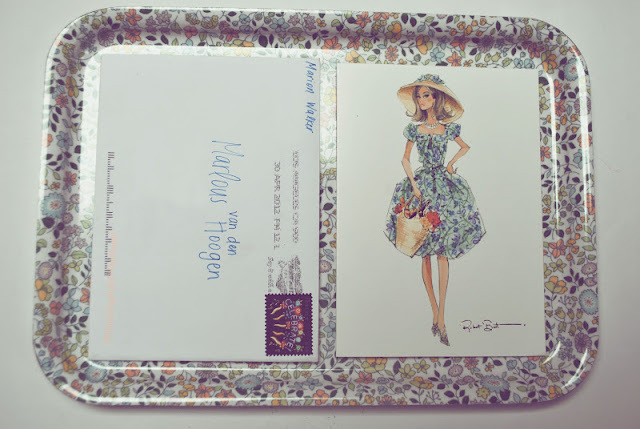 But Marion always writes long letters and isn't this card beautiful? I think I'm going to frame it, it would look good in my room. By the way, did you know that Marion was the first person who entered my project? And now I have already received 58 letters..